In late August we reported the announcement of Stone, a hip-hop noir adventure game helmed by a developer who previously worked on Quantum Break. The "zonked-out" interactive story is now available after launching on Steam for $14.99. There's also a $19.99 Bloody Legend edition that includes digital copies of the screenplay and art book. Stone casts players as the world's worst koala private investigator who's world is upended after a call from an anonymous source. In the search for Stone's missing friend Alex, players will scour Oldtown and interrogate an eccentric cast of characters. This is a new indie endeavor for the Loudens and others on the largely Australia-based Convict Games team, but they're doing the rollout of Stone is style. 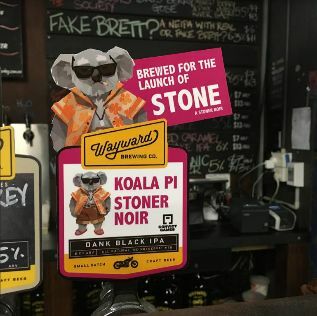 In addition to the base game and the Bloody Legend editions of the game, the launch was celebrated in Sydney, Melbourne, and Brisbane with the limited edition Koala PI, Stoner Noir beer by Wayward Brewing. Stone is available now on Steam for $14.99. Stay tuned to Shacknews for additional updates.